6 or more players 4 balls. 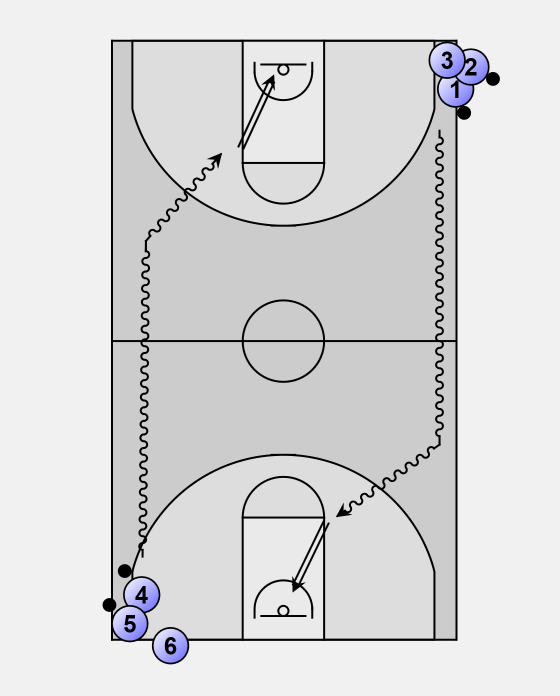 This drill start by dribbling to the opposite site of the court at the extended top of the 3 point line. The players cut to the the corner of the bucket. They make a jumpstop and take a jump shot. After taking the shot the players rebound the ball and give an outlet pass to the player without the ball. The player receiving the ball from the outlet pass must wait behind the baseline until the ball is rebounded. shot from the other side.